Zukunftsmusik, Italo, Soul, R&B, midnight rhythms, New Jack Swing, Hip hop, Miami Bass, Disco, proto-house, new wave, hip house, pop, Afro-beat, Tropicalia, Latin freestyle, Northern Soul, champagne pop, yacht rock. Always present: proprietor and a true humanitarian, Nicolas Jules Robinson (Nick The Prick); behind-bar reader & bartender Naomi; gentlemen of the door, Stephen or Simon. For those of you less-inclined to tear up the dancefloor, there are diversions - the Pabst Blue Ribbon vending machine, ol' tyme arcade games, a pool table, a neon light, a fooseball table, and the sparkling wit and genteel conversation of the staff. Korova received Honourable Mentions in the Best Dance Club and Best Pick Up Club (!!!) category in the Montreal Mirror's Best of 2007 Poll. Nice. "If that's not your cup of yerba mate, or you're wondering what happened to the rest of the Baile MTL crew, roll around the corner to Korova for a sophisticated evening of Italo, yacht rock, new jack swing and many other esoteric subgenres of pop music you hoped and prayed would be buried under the sands of time until the Internet came along and, well, they started to seem sorta cool again. 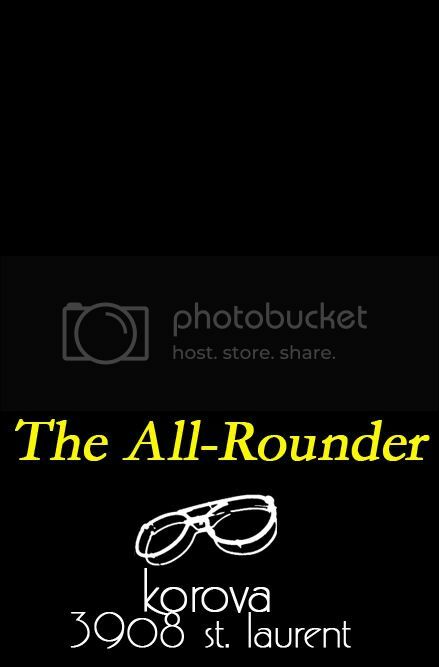 That's at the AllRounder, with funny guys Jay Watts III and Mark Dufort." XXIV~ May 17 Goodbye Mark D.
Korova is located at 3908 St. Laurent, all this happens on Saturdays, starting at 10pm, and it's free. Check out the Facebook group for more detail information. In Episode 2 of Square Quotes, Alexander Buckiewicz-Smith and Jay Watts III continue with extended coverage of the Suoni per il Popolo festival, interviewing artist and musician Grant Hart formerly of Husker Du, and Nova Mob, now solo; and local sculptor, musician and the Rum Tum Tiger of the Mile End, Nader Hassan. Besides those in-depth portraits, there are songs from The Cake, criminally under-rated group The Feelies, Lord Kitchener, and Barcelona's one-man neo-tropicalia explosion El Guincho. We also recorded local author Adam Gollner, at the launch of his new book on fruit obsessives, “The Fruit Hunters” (at Drawn & Quarterly), as he told the crowd about how some time in Borneo led him to chase after the lady fruit, the famed Coco de Mer, lodoicea/a really crazy fruit. In this inaugural episode of Square Quotes, hosts Alexander Buckiewicz-Smith and Jay Watts III fumble their way through two interviews, while producer Ali Rahman wonders what exactly it is that he’s got himself in to. The two guests, gracious and forgiving to a fault, were Montrealer Sam Shalabi and Jon Fall Ryan of Brooklyn’s electronic noise-improv sextet, Excepter, both of which will be performing in Montreal as part of the Suoni per il Popolo festival. More episodes to come, as ABS and JW3 find their footing, and producer Ali continues fretting.